After the papal visit, a number of police officers had vented their feelings over the P2,400 allowance promised to them but they never received. The investigation led to dismissal of an officer from Police Security and Protection Group (PSPG). Supt. 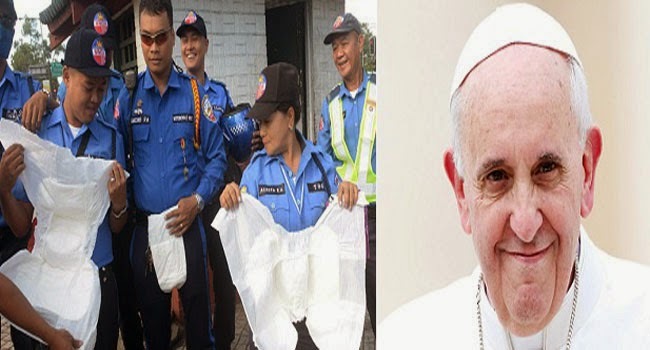 Evangeline Martos had been in charge for the food allowance of the police officers deployed for the security of Pope Francis. According to C/Supt. Wilben Mayor who is the spokesperson of Philippine National Police (PNP), each police officer was given a meal allowance of P2,400 and it was not meant as an individual allowance. However, some policemen said that they had only received 700 pesos and was promised to have the rest after the five day papal visit. Unfortunately, they had not received the additional allowance as they were told. It was reported that Martos admitted that she had encountered some difficulty when handling the budget during the big event which caused her shortcomings. Martos will undergo a pre-charge evaluation by Directorate for Investigation and Detective Management. Though the allowance was meant to be for the food allowance, some unit officers had decided to give it out as cash due to various changes in the plans of deployment. Thus, some received their expected 2,400 pesos while the others did not. The issue is now under investigation after some policemen shared their dilemma of not yet receiving the allowance promised to them. They even got frustrated upon knowing that some unit had indeed received their full allowances. A police officer shared that on the first day of papal visit, January 15, they were given 200 pesos and got an additional of 500 pesos on January 17. The rest never reached them. As reported by Manila Times. Some officers were even asked to pay for their Letter Order costing a staggering P1,000.